It took 31 hours of travel time for me from my house to the back door of Chateau Pichon-Longueville. The time consisted of Flights from SFO to Philadelphia,PA then to Munich, Germany. After that a quick flight to Toulouse there was a bus trip from Toulouse airport to the train station down town then a two hour train trip to Bordeaux. Once I had arrived at the Bordeaux train station it was another hour by taxi before I arrived at the Chateau. The taxi driver spoke little English and I apparently speak better French when exhausted so we had a pleasant chat about the area and when he learned I was here for wine he was happy to tell me that he and his family had worked in the vineyards their whole life. I asked what he was doing driving a taxi then and he replied it allowed more time for fishing. By the time we arrived at the Chateau I was exhausted beyond measure and it was 11pm in Bordeaux. As grueling as the travel was it was fantastic to get rid of any semblance of jet lag. I was greeted by the housekeeper who was kind enough to leave out a small endive salad, a slice of ham, and several slices of baguette for dinner. She also left a bottle of wine. Since it was already opened I felt it would be rude not to sample it however I thought that one entire bottle for a single tired guest was a bit optimistic on her part and a bit of a waste for the bottle. The room in the Chateau was like a fairy tale complete with the small meal laid out in a turret just off the room. It was the most relaxing shade of moss green with a fireplace, chandelier, and numerous antiques to match the period in which the Chateau was built. The bathroom was a periwinkle blue with claw foot tub complete with a large draping shower curtain. It truly was the bed room that you dream about as a little girl. After a quick shower I fell into a deep restorative sleep. As I was the only one who had arrived that night, I had the Chateau to myself the next morning. While there were people working there they insisted that I eat breakfast in the formal dining room by myself. I’m not one to enjoy dining alone so I ate a quick traditionally French breakfast of a croissant, baguette slices, and yougert then went for a walk around the grounds. The back gardens of the Chateau were partially forested with a small pond which I could easily imagine must have been once used for small boats carrying ladies with parasols. I crossed over this pond by way of a small stone bridge to the back of the gardens. They were manicured just enough to make you believe you were in some fantastic forest but not so much that you realized you were in a formal gardens. The gardens were separated from the vineyards by a small split rail fence which I followed to find a route to the vineyards. I wandered through the vineyards for a while marveling at the small vines, some no more than a foot off the ground and so tightly spaced that it was difficult to walk down the rows. Turning back to the Chateau it seemed that Pichon-Longueville was a green island in the midst of a sea of brown dormant vines. On the eastern facing edge of the gardens there was a large Sycamore tree which I took advantage of to sit beneath, soak up the sun, and marvel at my good fortune. The breeze was soft and light, the sun warm, and the vineyards were spread out around the Chateau in undulating waves. There was a church steeple in the distance and the cross of Pichon-Loungueville closer to my right. It was a very relaxing moment. Soon though it was time to return to the Chateau to meet my fellow scholarship winners and begin the formal trip. We gathered in the Study of the Chateau, surrounded by books, dark wood, and stuffed songbirds in glass boxes. There were four other students on the trip; Anne Krebiehl (Freelance Wine Writer), Ray O’Connor (Commercial Manager for the International Wine Challenge), Patrick Schmitt (Editor at the Drinks Business), and Nigel Sneyd (Winemaker for E&J Gallo). It was an eclectic and fascinating group and we all were able to meld our diverse backgrounds for an educational and exciting experience. With all the hype and discussion around the 2009 vintage in Bordeaux this year I thought I would post a bit of information about the En Primeur process for those wine lovers that want some detail and history as to how the sale of “En Primeur” wines work. 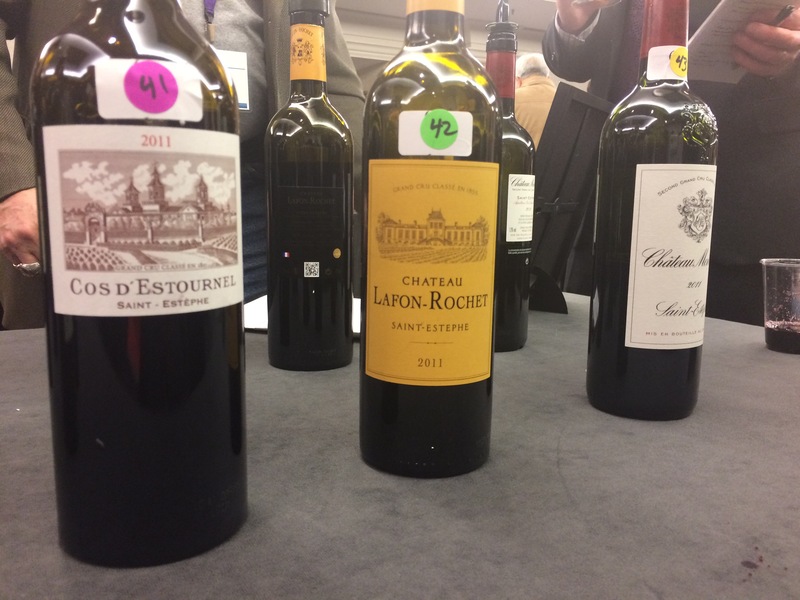 The majority of the information in this post was gleaned from a Trip to Bordeaux during En Primeur for the vintage 2008. The Bordeaux region of France is perhaps the most famous of all the French wine regions and produces the most AOC wines of any French region. It is made up of many smaller sub-appellations or communes which also have earned their own AOC designations. It is located in the Southwest region of France and contains several important bodies of water, the most important three being the Garonne and Dordogne rivers and the Gironde Estuary. The Bordeaux area can be divided into three main areas based on these bodies of water; the Left Bank, the Right Bank, so called because of their position in relation to the estuary, and Entre-Deux-Mers which lies between the two rivers. The seminar I attended focused on wines of the Medoc (Left Bank) and Sauternes (Entre-Deux-Mers). Bordeaux differs from other French wine regions because it is a region based on commerce and an export business rather than domestic consumptions like Champagne or Burgundy. This is because Bordeaux is quite a distance from Paris which was where the majority of the wine drinking populace of France was located in the past centuries. While other regions enjoyed almost unlimited access to this market, Bordeaux was disadvantaged because of the high taxes imposed by the different French departments through which the wine would need to be shipped. Thus the Bordeaux wine trade developed differently than others. Bordeaux became very popular in England after the marriage of Eleanor of Aquitaine to Henry II. Because of the close proximity to the rivers and estuary it was an easy place to locate a port and thus the export market was born. The chateaux would produce the wine and then sell it to a group of people known as negociants. The negociants would blend the wine and bottle it, eventually bottling individual chateaux separately, and sell the wine to the end market. Today there are over 400 negociant houses in Bordeaux with 15 of the top houses dealing with 85% of the wines and only 50-60 which are important to the classified chateaux. This system remains in place today with some minor changes and one major one, estate bottling. Once the Chateaux began to have a reputation for good wine it became more beneficial to the negociants to bottle the wine separately and put the name of the chateau on the label. This led to many negociants carrying the same chateau’s wine and depending on the negociants it could be the actual wine or something slightly diluted with another wine. In the 1940s Baron Phillipe Rothschild, of Chateau Mouton-Rothschild, introduced estate bottling for his wines in order to completely control the quality of his wines but it wasn’t until the 1960s that the concept became widespread and generally accepted in Bordeaux. Courtiers or Brokers are also important to the Bordeaux wine trade because they serve as a go between for the chateaux and the negociants. Of the 50-100 brokers in Bordeaux at any given time only 10 deal with classified growths. Bordeaux wine is sold in futures called “En Primeur”. The first week in April every year, thousands in the wine industry descend upon the Bordeaux region to taste the wine of the last vintage “en primeur” or still in the barrel. Historically these were only the negociants that tasted the new wine to determine if they were going to buy it. 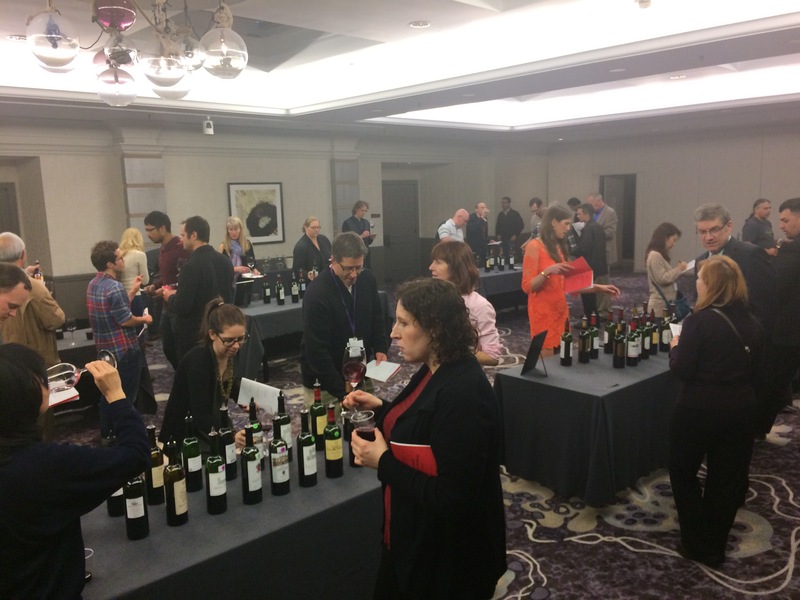 Today, wine journalists, critics, and students have joined the negociants to pass judgment on the young wine. The reviews are used to decide how much to charge for the wine which ideally (in the minds of the Chateaux) will be completely sold out by a few weeks later giving them instant capital with which to finance the upcoming harvest. Prices are set by internal discussion as well as discussions with Courtiers and reviews of certain very influential critics i.e. Parker in Bordeaux. The negociants will agree to purchase a certain amount of the wine which they will not take delivery of until, at the earliest, two years later. There are no written contracts to this effect. It is all a gentleman’s agreement so to say but everyone plays by the rules. The winery remains the legal owner of the wine until it leaves the property in bottle. Naturally the en primeur campaign is extremely important to the chateaux. In difficult economic conditions only 50 or 60 brands will sell out en primeur. If the wine is not sold during en primeur the next time the chateaux have a chance to sell will be after the wine is bottled except for the 1st growths which will release wine in tanches or groups each with a different price to make sure all wine is sold. There are four main advantages to selling wines en primeur. First, it allows customers to buy the wines for the lowest price possible as the price goes up after bottling. Second, it secures stock for negociants every year. Third, the wine is entirely traceable when bought en primeur from the chateau. Finally, this allows the buyer to dictate the format of the bottling i.e. size, label, etc. Another important factor in the price of a wine is the classification of the individual chateaux and their price in relation to higher and/or lower classed chateaux. The classification is still based on the 1855 classification that was put together by the negociants for the Paris World’s Fair of 1855. World’s Fairs included exhibitions of luxury goods, craftsmen, agriculture, and the latest scientific advances. The winemakers of Burgundy decided since wine was a large enough agricultural product and that they wanted to be included. They sent a letter to the Bordeaux Chamber of Commerce to invite them to participate as well. The Chamber of Commerce wanted to participate but knew nothing about who made the best wines to send so they sent a letter to the negociants to come up with a list. They put together a list based on the average price for the wine over the previous ten years. While there are arguably several problems with this classification including its original basis not on quality but on average price and also its lack of revision it is still a fairly good indicator of quality. There are six levels of classification; Premiers crus (1st growths, initially owned by nobility), Deuxiemes crus (2nd growth, also owned by nobility but not as high a quality), Troisiemes crus (3rd growth, owned by a mix of nobility and bourgeois), Quatorziemes crus (4th growth, Bourgeois owned), Cinqiemes crus (5th growth, bourgeois owned) and Cru Bourgeois (as named Bourgeois owned). There have been two changes to this classification. The first in 1856 when Chateau Cantemerle argued that is was unfairly left off of the classification list and provided sales receipts to make their point and secondly in 1973 when Chateau Mouton-Rothschild was elevated to a Premier cru after several years of lobbing the Conseil. There are 61 classified growths comprising of 3,331 acres producing 20 million bottles with a value of over 300 million Euros. Ninety to ninety five percent of this wine is sold through the negociants. This is a quick summary but hopefully helpful for everyone from veteran Bordeaux lovers to new wine drinkers. This trip was supported by the “Conseil des Grands Crus Classes en 1855” (Counsel of the Great Classed Growths in 1855) and all chateaux visited were classed 5th growth or higher. Special Thanks to Emmanuel Cruise of Chateau D’Issan and Dewey Markham Jr. for sharing their knowledge with me.